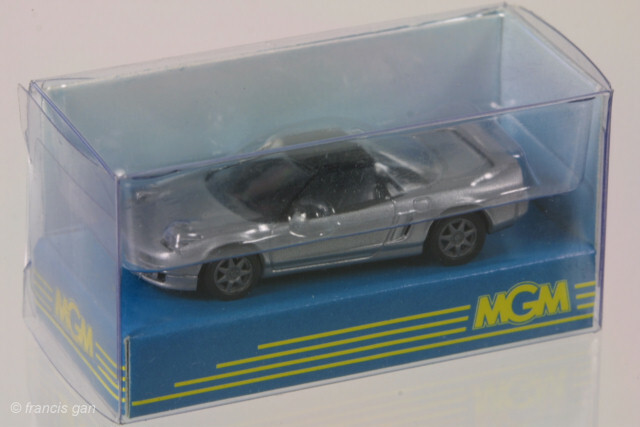 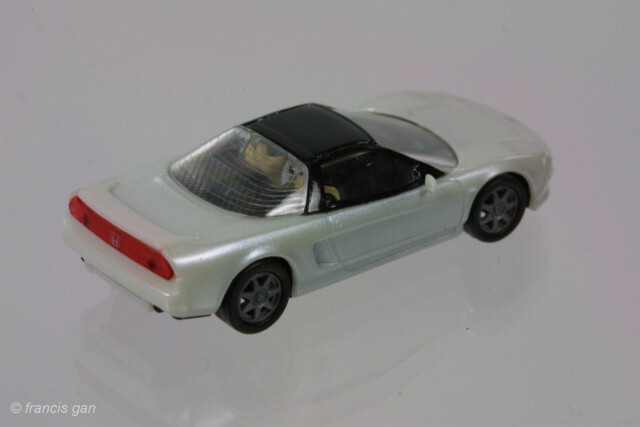 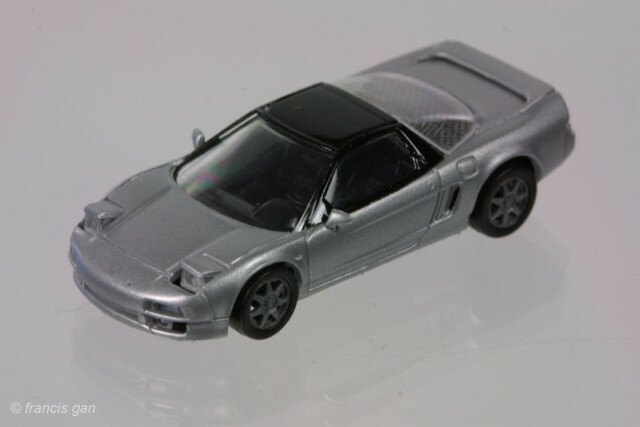 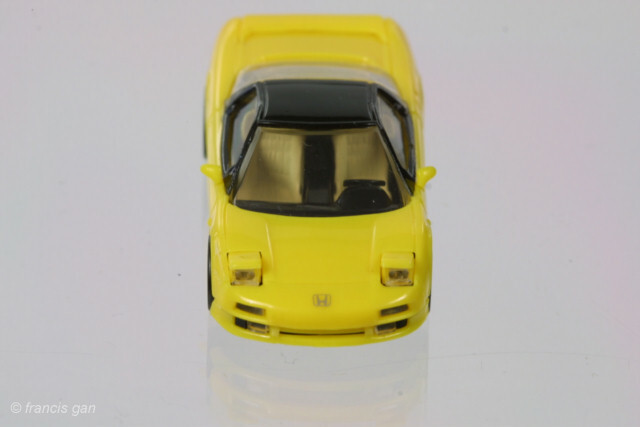 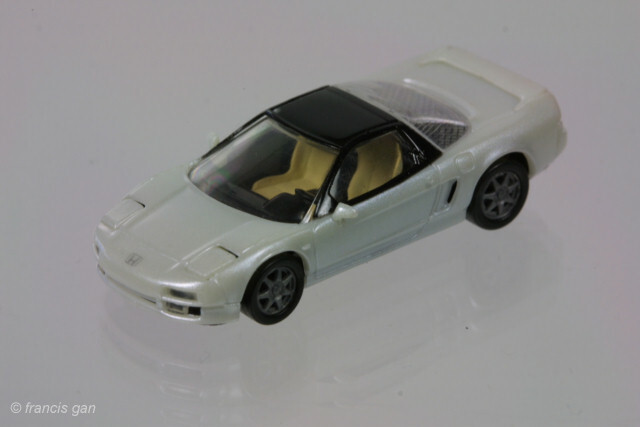 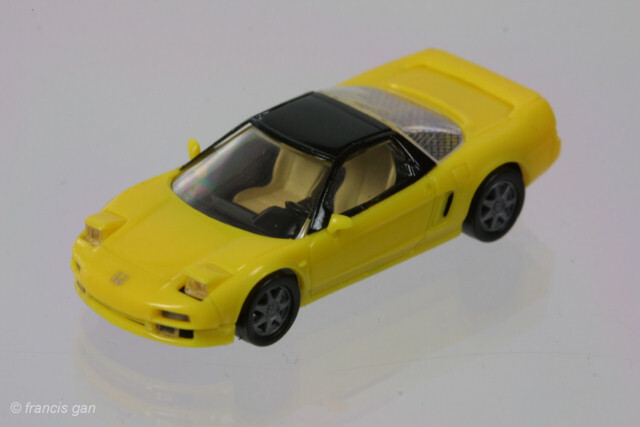 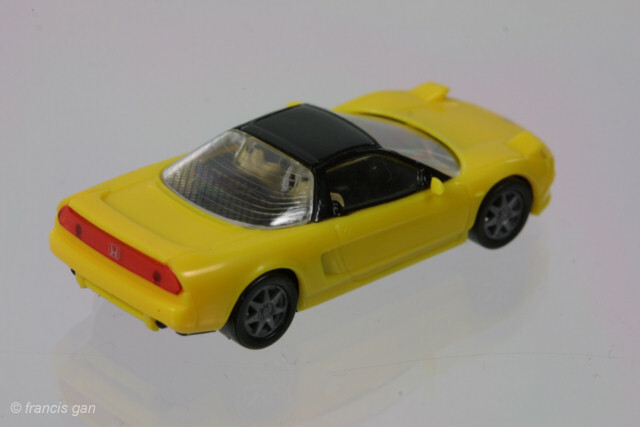 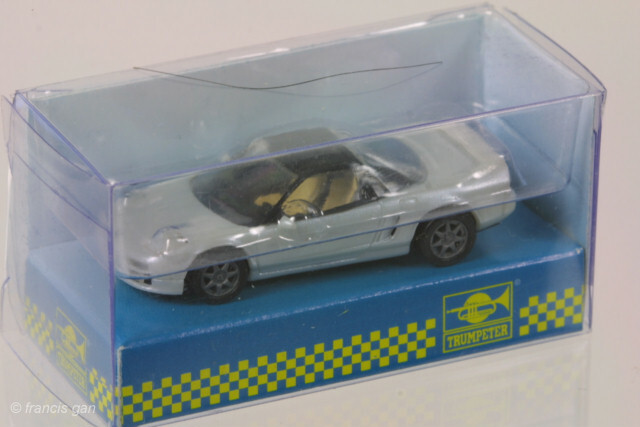 MGM released the most detailed 1:87 NSX-R in 4 colors: Pearl White, Red, Yellow and Silver - all with black roofs. 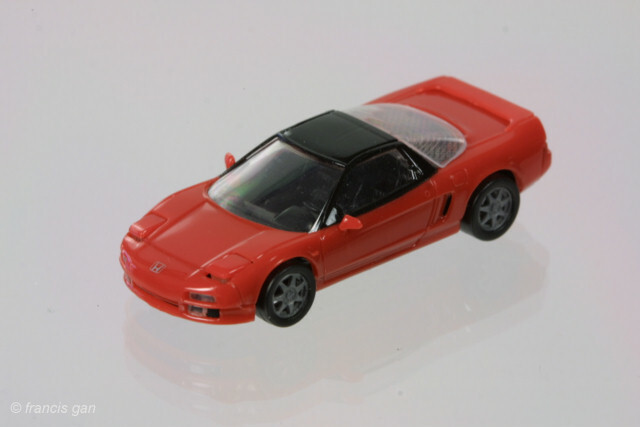 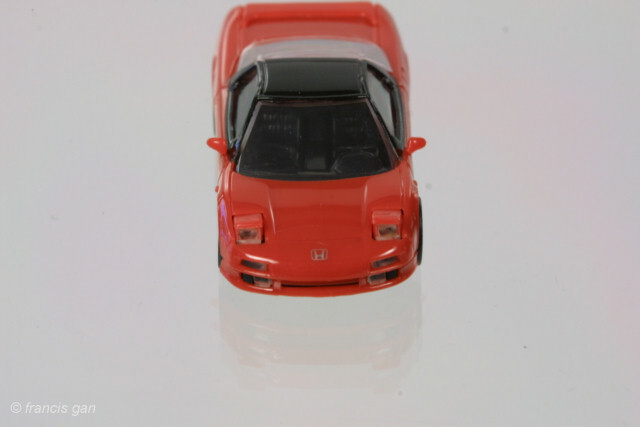 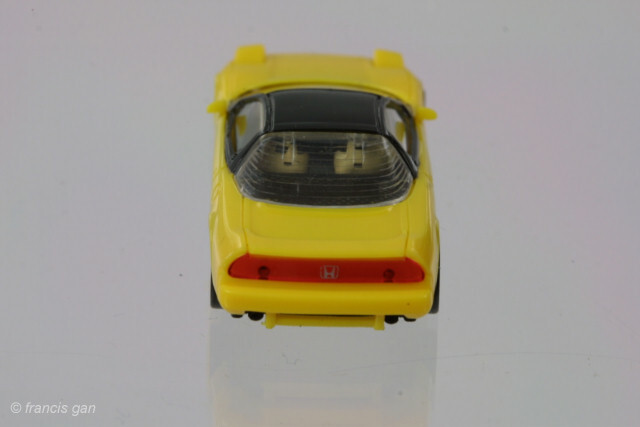 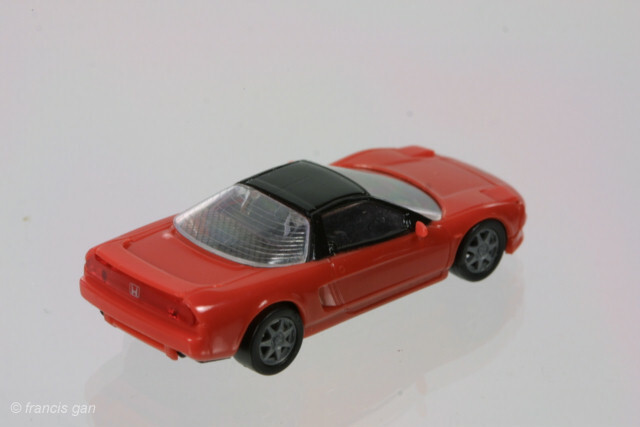 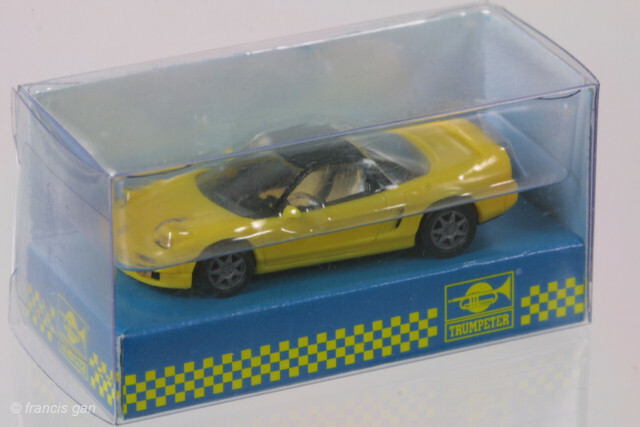 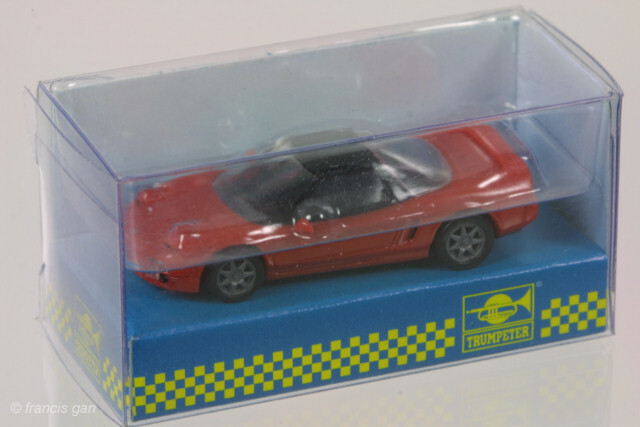 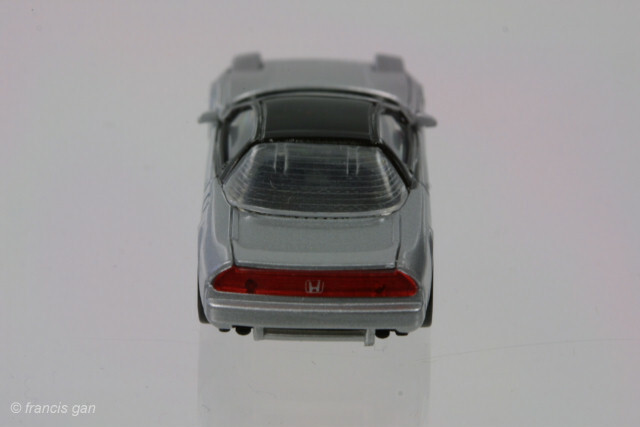 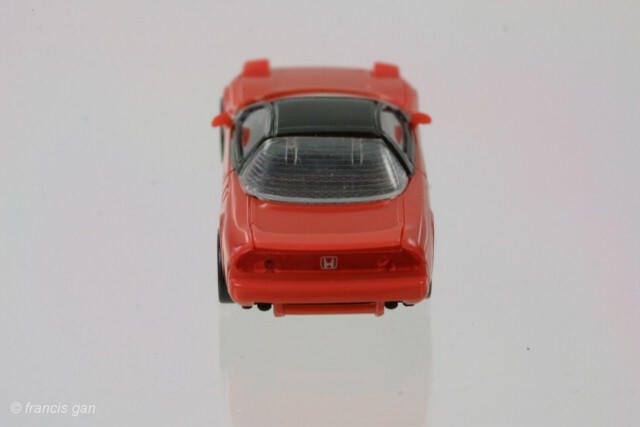 The detail on this miniature model is incredible: visible 5 lug nuts per wheel (7 spoke), mesh engine cover, clear plastic lights in front bumper (including fog lamps - though not accurate for an NSX-R), front grille with pass through, operable flip up lights, clear red piece for tail lights, side mirrors, rear spoiler with gap under it, "H" logos on front and rear and a very detailed interior - down to the shape of the seats and steering wheel. 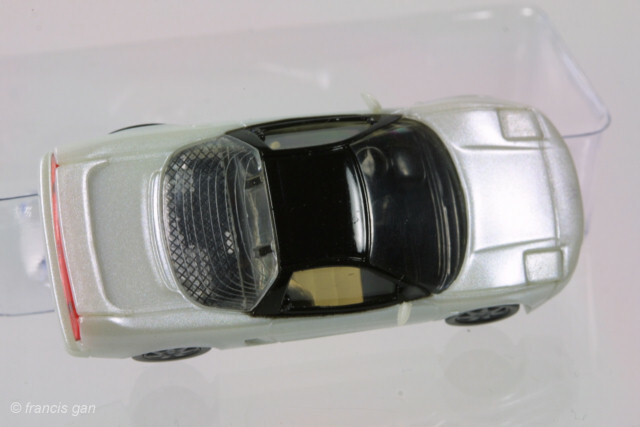 Undercarriage detail is sparse - only the front suspension and exhaust muffler were modeled. 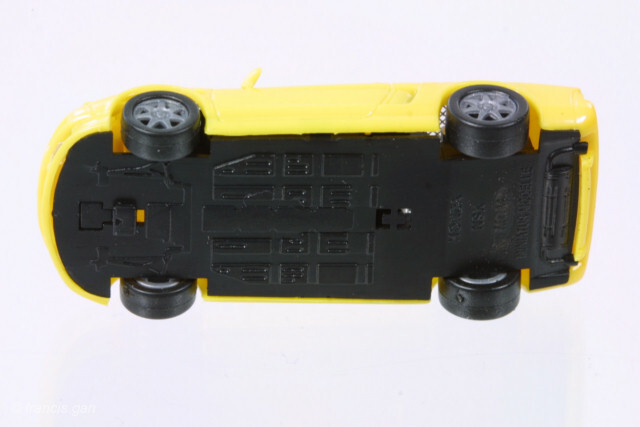 Undercarriage detail does not live up to the rest of the car. 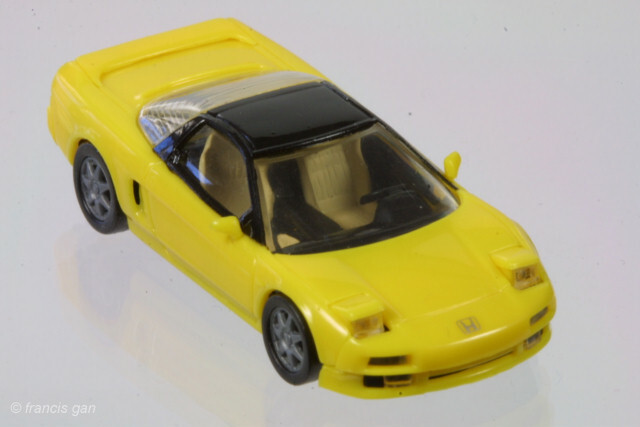 Detail in the cockpit includes gathered leather on the seats! 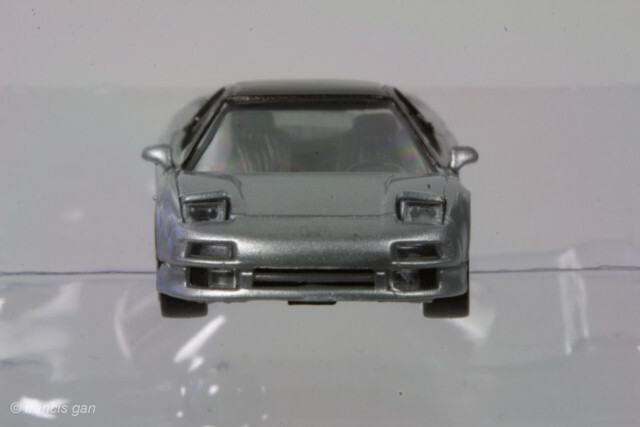 Bumper details and pop up headlights.